PRODUCT: Everhard Silicone Seam Roller, 1-3/4 inch wide x 1-7/16 inch diameter, single fork, 5 inch hardwood handle, ball-bearing professional grade. Price/Each. 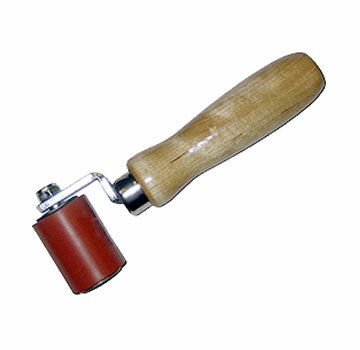 Excellent for use with rolling on all types of materials.